Sometimes it is fun to take your knitting along to the beach. Even though it was a long weekend, and Pender Island was filled to capacity with visitors from Vancouver and Victoria, we still managed to find a quiet spot on a neighbourhood beach. 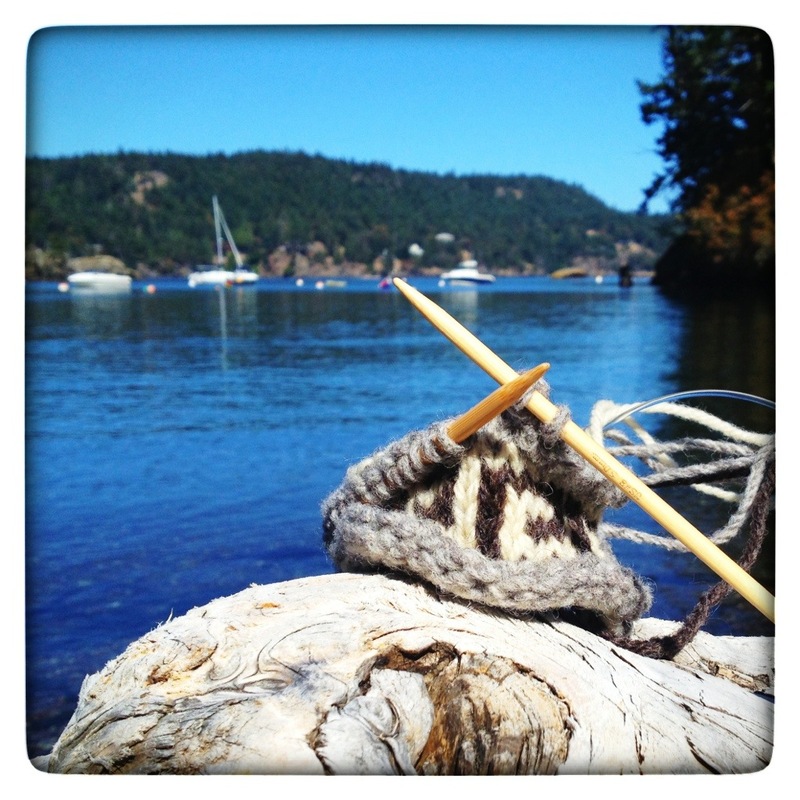 I spent the afternoon alternating between knitting and kayaking . It seemed fitting to work on this piece on the beach, it is knit in the colors of my Salish Collection, meanwhile the background is the Salish Sea. This piece will also be headed to Talisman Books and Gallery on Pender Island in the next few days. If you are on the island this summer, be sure to pop into Talisman to see the pieces in person.